We are all tied by the thread of dreams. RadioEight is an interactive soundtrack to the subconscious world of children. Turn up your sound for the best experience. RadioEight lives at the intersection of audio documentary and interactive to offer an alternate measure of our condition on the planet: the subconscious dreams of the world’s children. Inspired by the concept of an 8th continent to which all children belong, RadioEight is an interactive soundscape dedicated to the hidden world of dreams. By exploring the world of subconscious childhood dreams, RadioEight unlocks deep human connections that eliminate the barriers of geography, culture, language, politics, and economic status. Our project is centered on the dreams of children 7–13 as a developmental time when children begin to turn their focus away from their family, to the world beyond. The visions of earth’s youngest global citizens provide raw, moving answers toward creating a more emotionally connected humanity. RadioEight was conceived and created by Katrina Crawford & Mark Bashore of Yonder, and made in collaboration with Belle & Wissell, Co. Original music by Jesse Solomon Clark. The Nepali children’s voices heard here were recorded just hours before the April 25th earthquake in Kathmandu, which displaced tens of thousands, killing nearly nine thousand. Please consider making a donation to provide assistance for rebuilding efforts. RadioEight visited schools and orphanages in Nepal, Cambodia, Ethiopia, and Seattle. Though we edited them for brevity, the accounts are entirely unscripted and unprompted. Please remember: This experience is intended for all ages. All content must be appropriate for children. Download our submissions guide (pdf). If you are affiliated with a school or other children's organization and would like to participate in the project, please contact us and we can assist you with recording needs. RadioEight content is also available as a podcast. Themed episodes feature selections of related dreams, and can be experienced in either video (for subtitling) or audio-only formats. This web experience features original music composed by Jesse Solomon Clark. Listen to and download the album at radioeight.bandcamp.com. The recordings of Nepali children on RadioEight were taken on April 25th, only hours before a magnitude 7 earthquake struck Kathmandu. A second earthquake—of equal intensity—followed in May. 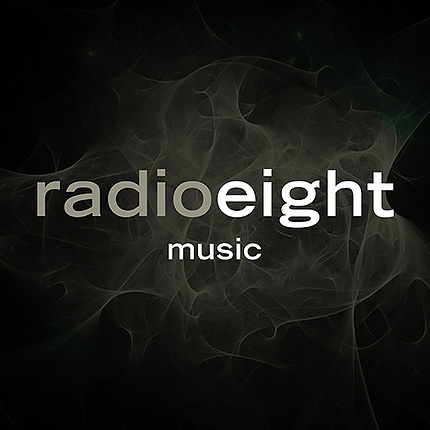 The RadioEight album is available for free; we suggest a donation to the Nepal Earthquake Children’s Relief Fund in exchange for the original compositions. Save the Children has worked in Nepal for nearly 40 years, and provides much-needed aid in the wake of this crisis. RadioEight was conceived and created by Katrina Crawford & Mark Bashore of Yonder, and made in collaboration with Belle & Wissell, Co. Original music and sound design by Jesse Solomon Clark. Dream Recordings: Katrina Crawford, Koji Minami, Frehiwot Belete, Nasser Ferej, Ayatam Simenh, Prakash Sharma, Ritesh Hada, Nikita Baiju, and Sujan K.C. the following partners who were instrumental in recording children across the globe. Prakash Sharma, Ritesh Hada, Nikita Baiju, and Sujan K.C. Thank you Alex Schill for your conceptual support and Lisa for your enthusiasm.